Autoscribe Informatics has announced release of v5.4.6 of Matrix Gemini LIMS. New features include improved visualisation of data and information, especially hierarchical data structures and storage locations including freezers, well plates and other storage types and advanced analytical quality control (AQC) functions. The new ‘Container View’ allows container types to be represented in the LIMS including well plates, storage racks, cryogenic storage boxes and chemical inventory storage facilities. Each point, or location, within the container grid can represent a sample (or item) and may be configured to show any information about the item that is desired. The location of individual items or groups of items within the storage system may be changed using drag and drop features. The system will also allow entire containers (and their contents) to be moved. All changes can be recorded in an audit trail for later recall, providing a complete audit history of the sample location during storage. The container view in conjunction with the Matrix Tree view functionality allows laboratories to define and manage any hierarchically defined information within the laboratory. The container view is not limited to displaying items in a storage facility. The inherent flexibility means it can be used to visualise many types of information, for example data heat maps or the mapping of contamination hot spots within a facility. It can also be used for resource mapping and allocation including the creation of Kanban boards. Samples, instruments or people (or any resources) can be defined and allocated using the built-in drag and drop methodology. The container view is configured using Matrix Gemini’s powerful built-in graphical configuration tools, allowing maximum flexibility without the need for software coding skills. Advanced AQC provides highly flexible run sheet functionality, allowing users to create run sheet templates that meet the needs of today’s analytical laboratory. AQC samples including blanks, duplicates, replicates, spikes, controls, spike duplicates and control duplicates and their position within a run can be defined based on user defined patterns. 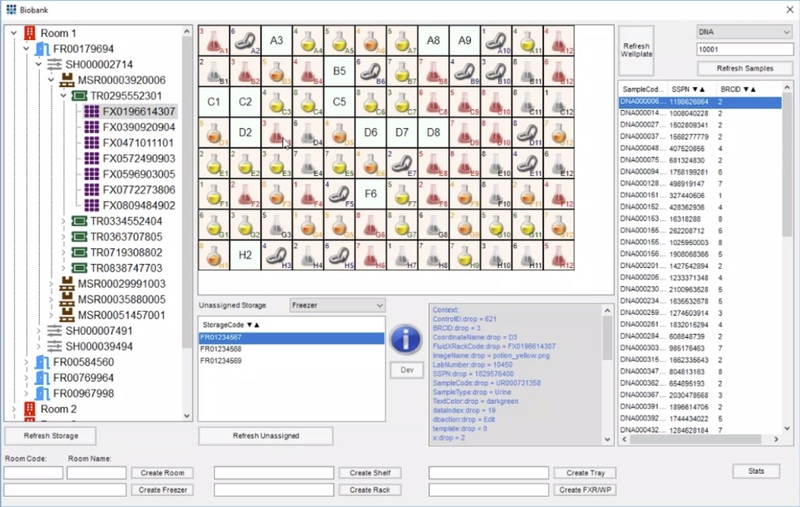 Advanced AQC allows complex rules to be used when placing control samples amongst standard samples within a run sheet. These rules include set positioning of individual QC samples, leading and trailing sets of QC samples as well as repeating patterns and randomized positioning within sets of unknown samples. Advanced AQC allows the laboratory to maximise sample throughput while meeting regulatory and quality standards and without compromising the quality or accuracy of data. It can also drive improved efficiency and maximise the use of resources across the laboratory.